Our world, it seems, just keeps speeding up. Information from anywhere on the planet now arrives in the blink of an eye. No need to wait for the evening news. CNN put an end to that long ago. Want that new bauble? Order by 3:00AM and have it at your door before 10:00AM. And while we can't teleport ourselves across the globe, we can, at modest price, get just about anywhere in the world within 24 hours. Something our grandparents couldn't have imagined. It is really all very amazing. And I'm not complaining -- really I'm not. These can be real conveniences in our lives. Or not. 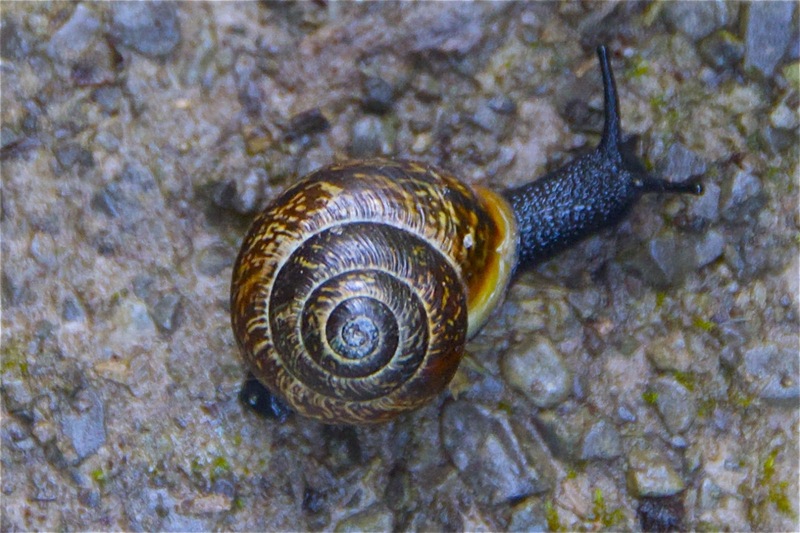 The beauty can be found in the snail above. For while the world seems to be spinning faster and faster, of course it is not. You can still choose when to slow down your life. That power remains with you no matter what new, amazing, shiny, computer/stereo/telephone/GPS/e-reader/camera/etc you happen to have in your pocket this month. You still have the choice to slow down. Boil some water and steep some loose herbal tea. Grab a book and turn the pages one-by-one. Walk to your local market, choose warm bread and fresh veggies and make a healthy, homemade meal. Savor it over candlelight and conversation. So pay heed to the lowly snail. For no matter its destination, he may get there slowly, but get there nonetheless. And there is something very satisfying and very beautiful when we make the choice ourselves to just slow down.